Welcome to this month’s Blogorail Blue Loop. Today we are sharing some lesser known Disney tips. Walt Disney World has a lot of different ways to get around the sprawling resort. You can take the monorail, or a boat, or a bus, or even your feet. My post will be focusing on some of the lesser known shortcuts to help shave time getting from point A to point B and spending more time enjoying your vacation. The important thing to look at is “what locations have multiple transportation options” available. Most of the time, these will be at deluxe resort properties. All value resorts have only bus transportation and moderates have bus transportation and some boats to Disney Springs. The deluxe resorts have multiple transportation options. But just because you are staying at a value resort doesn’t mean that you can’t use deluxe resort transportation to help you save time. My family discovered this shortcut when we were attempting to visit all four parks in one day. We had just finished watching Illuminations and did the quick time math that walking to the front of the park and hopping on a bus or monorail would take a long time. Yacht Club, on the other hand, was just a short walk away. Magic Kingdom was open until midnight so there would be plenty of buses. We took the short walk from the UK Pavilion to Yacht Club. No crowds to fight. We took a short walk. No line to wait for. Just had to wait a few minutes for a bus. We were able to watch Illuminations and got to Magic Kingdom in time to find a decent spot to watch Wishes. This is a great tip no matter the time of day. It helps save time and takes some stress off your feet by walking less and sitting more. Always a plus during a busy park day. Disney has put a lot of money into expanding the bus depot at Magic Kingdom. You can use this expanded bus depot to your advantage. Say you want to do some Deluxe Resort hopping before visiting the Magic Kingdom. Take a Magic Kingdom bus from your resort and use that as your “base camp.” From the Magic Kingdom, you can hop on the monorail or boat and get from resort to resort before getting back to the Magic Kingdom and either returning to your resort or heading into the Magic Kingdom. Having a meal at Chef Mickey. Just take a bus to the Magic Kingdom and walk over (see tip #4). The Grand Floridian is a great location. It is the last stop on the monorail loop before the Magic Kingdom. On the other hand, it is the last stop on the monorail loop when leaving the Magic Kingdom. If you like the monorail, this is a good thing. If you are trying to save some time when leaving the Magic Kingdom, there is another option for you. The boat. There is a boat that goes to the Grand Floridian and the Polynesian. The Grand Floridian is the first stop. WOO HOO! This resort is in the sweet spot of transportation. It’s the first stop both leaving the resort and leaving the theme park. A true time-saver. This is my favorite tip since I stay at Bay Lake Tower a lot. It’s a long way around on the monorail from the Contemporary to the Magic Kingdom. It can be faster to walk. When leaving the Magic Kingdom at peak times (like after fireworks), it is definitely faster. Only so many people can fit on the monorail, by walking you don’t need to wait for anything (except maybe dawdling children). It can be tough on your feet toward the end of your trip but the time savings can be worth it. 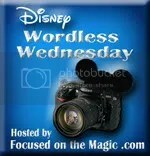 This week’s Wordless Wednesday theme is transportation. Everybody knows about the traditional modes of Disney Transportation: Bus, Boat, Monorail. I’m going to focus on different modes of transportation that we don’t even think about when we are at Walt Disney World….strollers, carriages, parade floats, clam-mobiles, jungle cruise ships, and even our feet. Today, we bring out another edition of Fast Pass, Just Pass, or Wait for It. 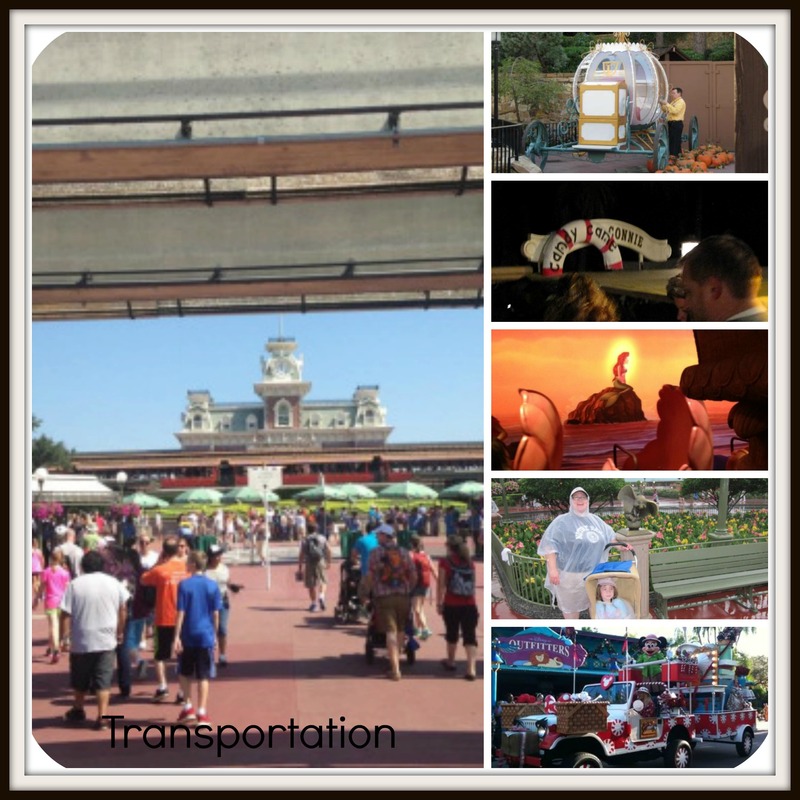 This time, we are looking at Disney transportation to and from the parks. There are many different ways to get to and from the parks and some of these ways are better than others in my opinion. But like anything with an opinion, what I like may be different from yours so when you are done reading please leave us a comment. Transportation which is eligible for this game: the monorail, the boat launches around the Magic Kingdom resorts and Ticket & Transportation Center, the Friendships between EPCOT and Hollywood Studios, the buses, and finally your feet. A question that always comes up when planning a Disney vacation is: do we need to get a rental car or could we rely solely on Disney transportation? It’s a question that doesn’t have a right answer because every vacation is different. You need to look at your vacation plans and decide for yourself whether or not you need a rental car or night. One guest may need to rent a car during their vacation while another vacation may not. It’s one of the fun things about vacations. There are like snowflakes – it’s hard to find two that are the same.